John Benton has obviously been cut from a different cloth. In a community where many of the older shop owners hold on tight to the trade secrets they've learned over the years, John is an open book. Rather than hole up in a garage, jaded by decades in the automotive world, John is the first to share what he's learned and openly reach out when he needs help. Armed with an open mind and positive outlook, he subscribes to the mentality of community rather than competition, giving credit where credit is due and maintaining a humble demeanor through it all. From the night we first met, John has been quick to emphatically wave and smile when our paths cross at car shows and he's even quicker to offer support to those that he sees potential in. With such a friendly and sharing persona, it came as no surprise to find myself chatting with him long after our photoshoot was finished and the sun had set. 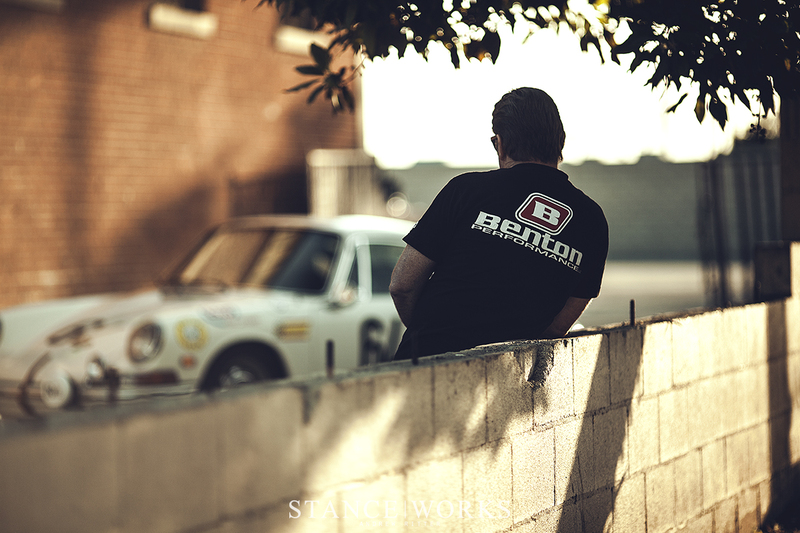 We spent an hour gazing over his Porsche, 'Mein12', talking about everything from hidden culinary gems in downtown Los Angeles to the old days of racing on Mulholland. 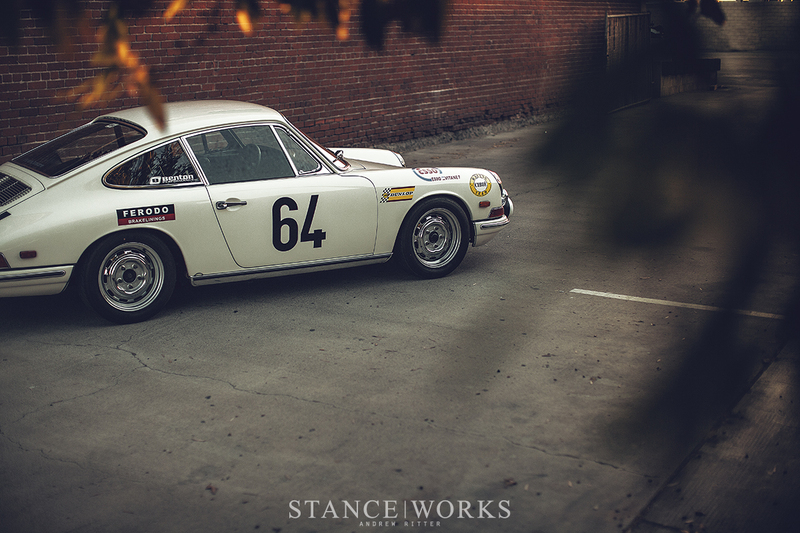 From there, we began to talk about the old air-cooled Porsche that sat before us. 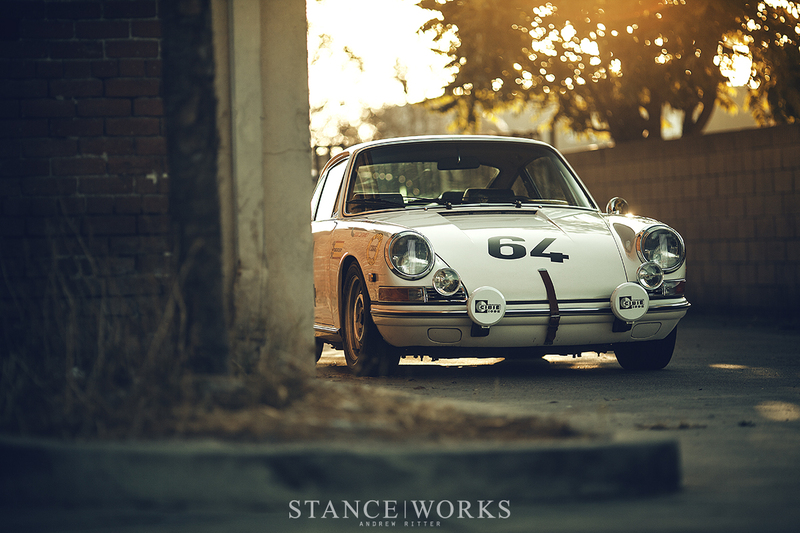 The back story of John's 1968 Porsche 912 dates back longer than the average story that comes across our desktops. Following a handful of hot-rodded Volkswagens, John Benton found himself habitually checking the 'Recycler' Consignment Ads on the rack at the liquor store in hopes of finding a deal before anyone else had a chance to jump on it. One day, in 1984, a Porsche 911 sat printed in a small ad, waiting for its next owner. Wanting to not waste a second more, John darted out of the liquor store, ad in hand, and began anxiously dialing away in the phone booth outside. Minutes later, with a meeting time set, he headed out to Northridge, ready to bring home his next project. Unfortunately the enthusiasm dwindled with the car in front of him. The car was mangled underneath and he had a gut sense that it wasn't meant to be. 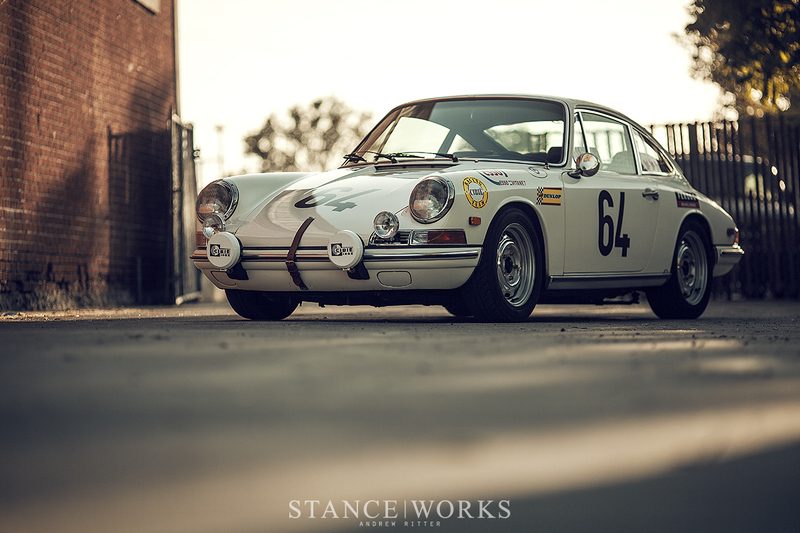 In a dejected, empty-handed march away from the consignment lot, a white 912 caught his attention out of the corner of his eye as if by fate. In far better shape and with a lower price tag to boot, the 912 piqued his interests and it wasn't long before the owner arrived to discuss the transaction. 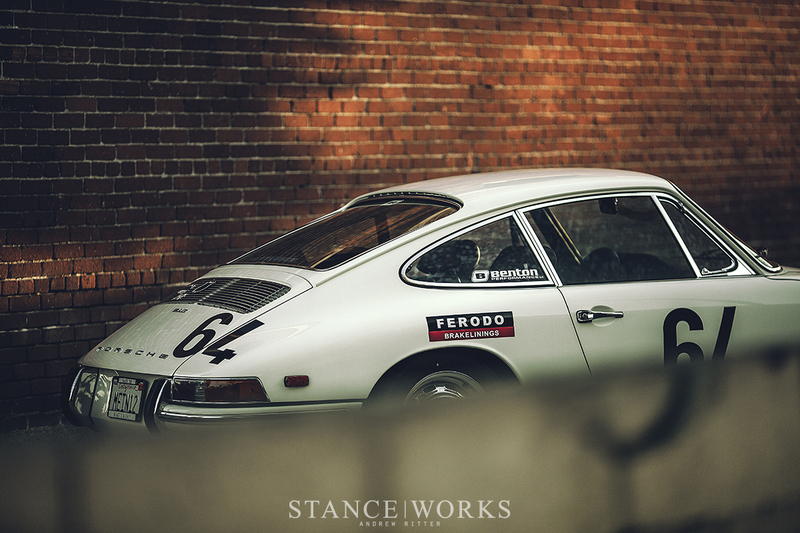 With 16 years already under its belt, the 912 had been put to the test. Bought new in Amarillo, Texas a TV art director purchased it with his intentions set on commuting from Arizona to Los Angeles and back as he worked on the set of his latest project. After racking up miles of desert driving, the man handed the car off to his wife who daily drove the car until it found its way into John Benton's possession. 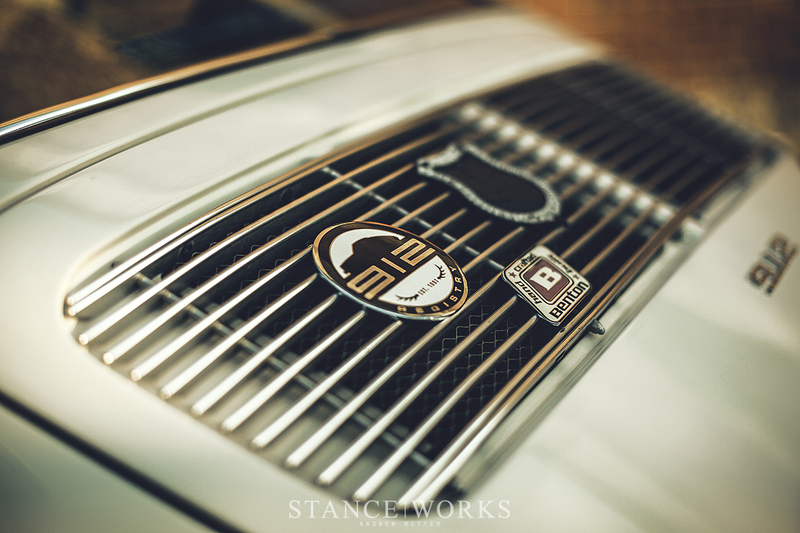 The car continued its commuter duties and in serving as the transportation on his lovely wedding day and escorting both children home from the hospital as his family grew, it quickly became apparent that this old car was now an integral part of his life. A few years in, the car slowly evolved into a weekend race car as is so often the case with us enthusiasts. Hesitant to completely forego comfort and utility in his daily , John chose the modifications carefully. A cage offered safety while changes in the suspension truly shined as he darted around the cones at the local autocross. The radio remained intact, blasting 'The Scorpions' while he pushed the Porsche to its limits on track in the Porsche Owners Club's A-Production race class for a few seasons. One can find themselves on a slippery slope as they give in to the joys found in racing, so inevitably, the car slowly let go of its daily duties and became a full fledge racer. 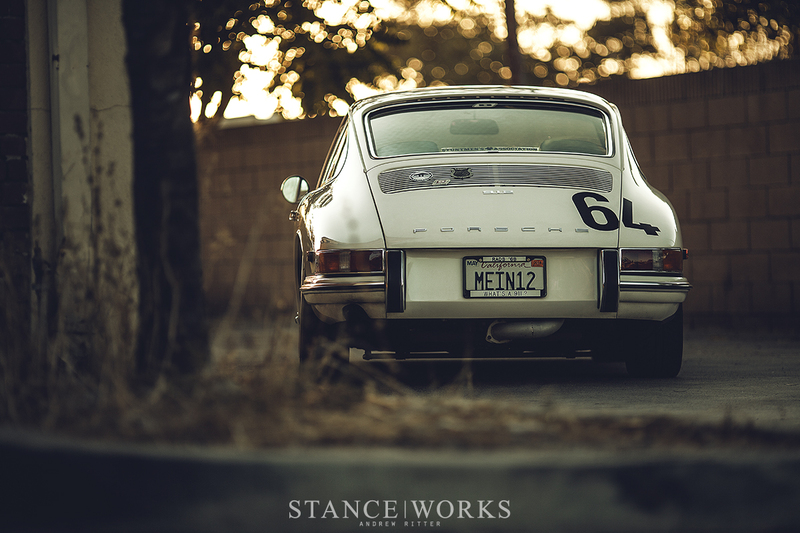 It was the little 912 up against a field of 911s, but that didn't stop John from having some fun with it. In a world where bigger is better and a never ending quest for high horsepower endures, most of the world fights to get their hands on the latest and greatest items. 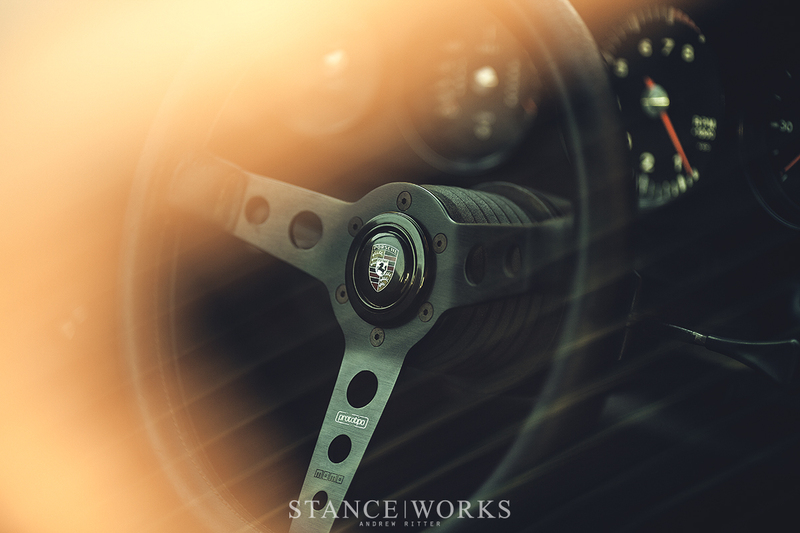 It's a wild rat race towards "more", but there exists a niche of enthusiasts that celebrate the underdogs and in that corner stands John Benton, dedicated to the 4-cylinder 912s that is often overlooked in the shadow of the iconic, flat-six 911. 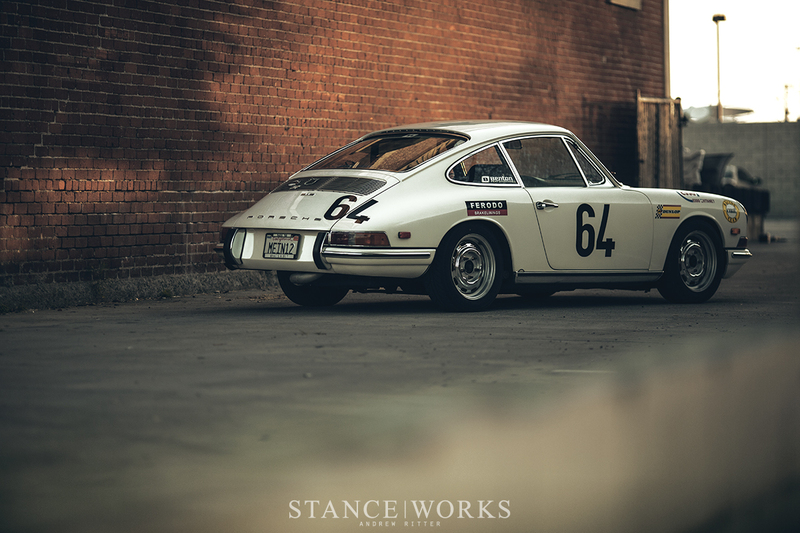 In many ways, the 912 is a true evolution to its predecessor, the Porsche 356. With its skinny tires and 4-cylinder engine, it retained the same nimble driving characteristics that Porsche owners came to expect. However, for some, it may be hard to understand why anyone would opt for a car with less cylinders and less power, but for John, part of it lies in the challenge. With its 2-cylinder handicap, squeezing performance out of it can be more difficult, but the rewards at the end are that much sweeter when your underdog is hot on the tail of the faster 930 turbos in your run group. With little demand for the smaller engine in the early years, John had to turn to the knowledge that he gathered while working on his Volkswagens and tuning race engines for his friends. A custom billet crankshaft and a set of rods were made to suit his needs and the modification list has grown ever since. 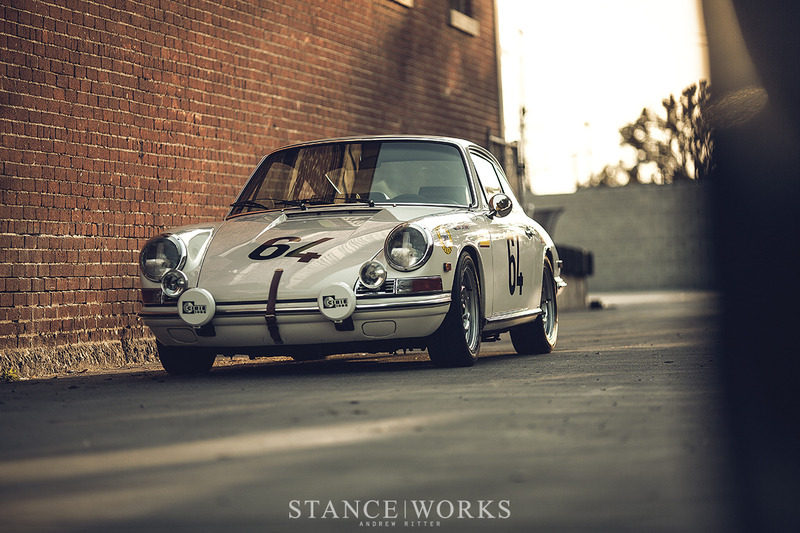 As it sits today, the '68 912 is powered by one of Benton Performance's 1.7L twin-spark engines, outfitted with ported heads, an aggressive cam profile, forged pistons on custom rods, and a knife edged crank. 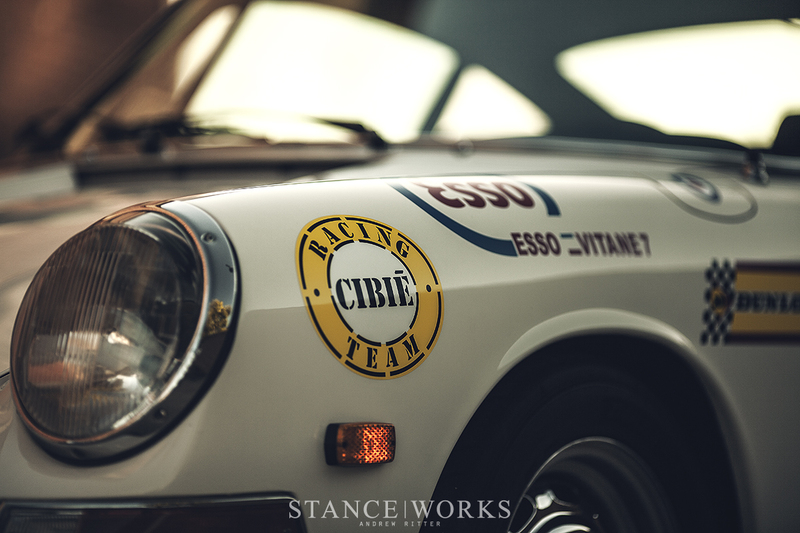 To keep everything in order, an ECU mates with a crank-triggered ignition and fuel injection while a re-geared box transmits the power to match John Benton's driving style. Adjustable spring plates and Konis ensure that the car maintains its composure in the corners while a strut bar and swaybars front and rear allow it to stay planted. Widened steelies often go unnoticed by the untrained eye but allow the wider rubber necessary to keep John on track while he's giving it his all. 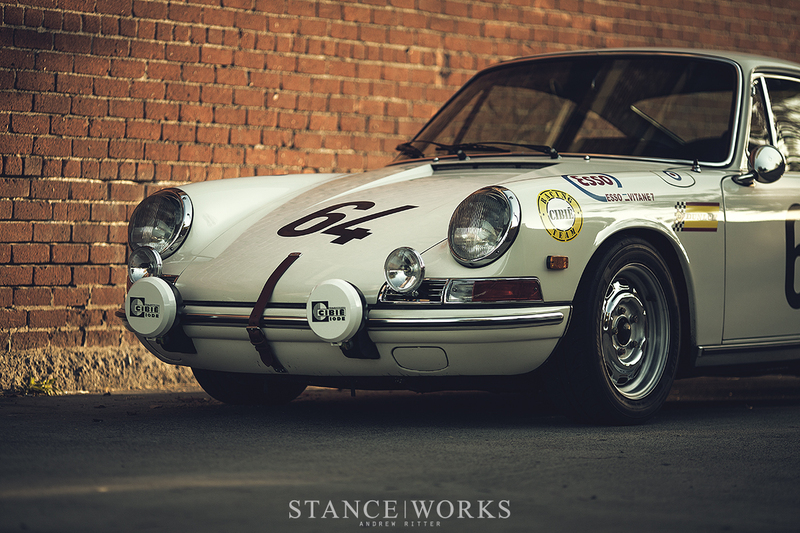 With so many decades behind it, John's Porsche 912 has been through a lot. Following its first race career, the commuter-turned-racer was completely stripped down in the early 2000s for a thorough restoration that would address much of the wear that had accumulated over the years. With a newly painted, freshly rebuilt car on hand, John gave the Concours world a shot, but when it didn't feel like the right fit, it wasn't long before he was back out on the road, beating on his car. 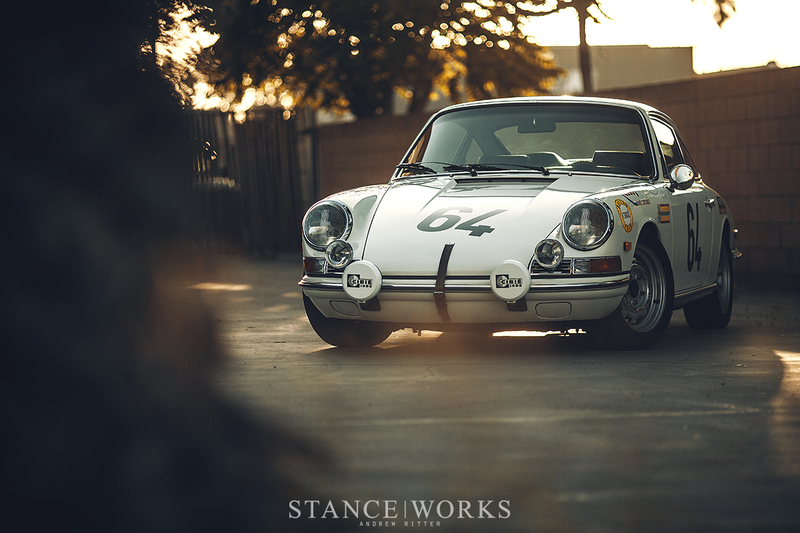 John and his 1968 Porsche have been together through a lot and as John grew, so did the car, each evolving along life's path. 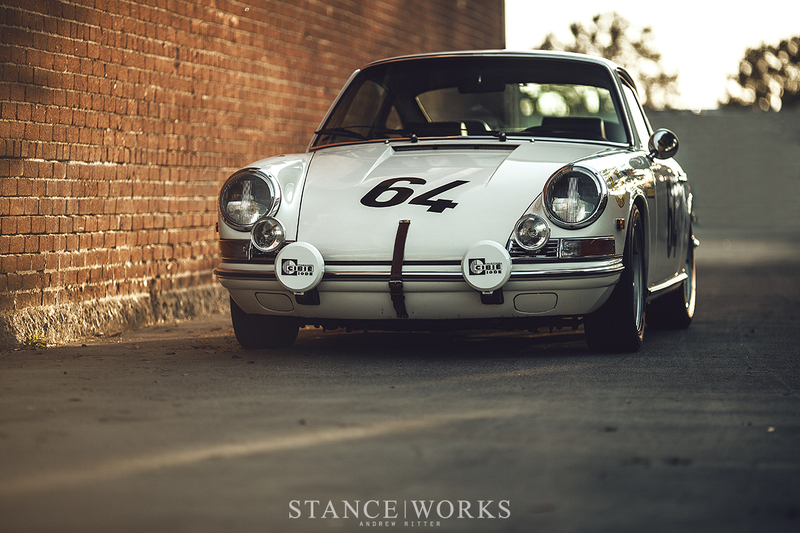 As it sat there in front of us, we discussed the latest iteration for the old air-cooled. 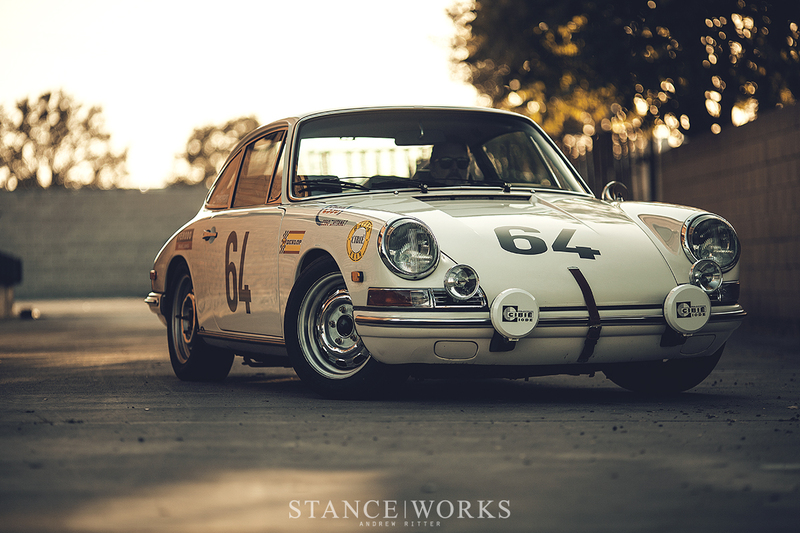 This spring, John set out to pay homage to one of his favorite race cars, the 1968 LeMans contender driven by Claude Laurent and Jean-Claude Ogier, two privateers who set out against all odds. Despite lacking the factory backing that many of the big-name teams had, the duo drove the lowly little 911t to a second place finish in the GT class. The underdog resiliance and the simplicity of such a privateer entry tugged at a certain string in John's heart, so he wanted to pay tribute to their efforts with a simple re-invention of his car, 'Mein12'. 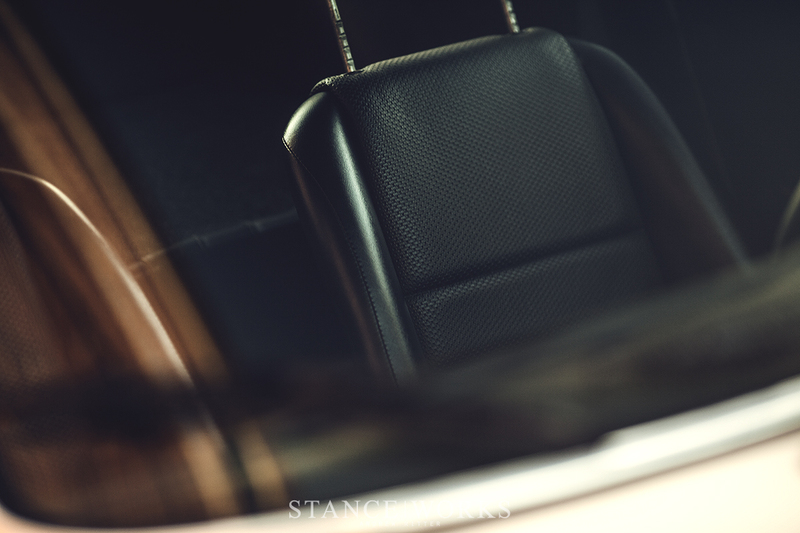 A row of driving lights took their position on the longhood's front end as a single leather strap limits the hood from popping up unexpectedly. 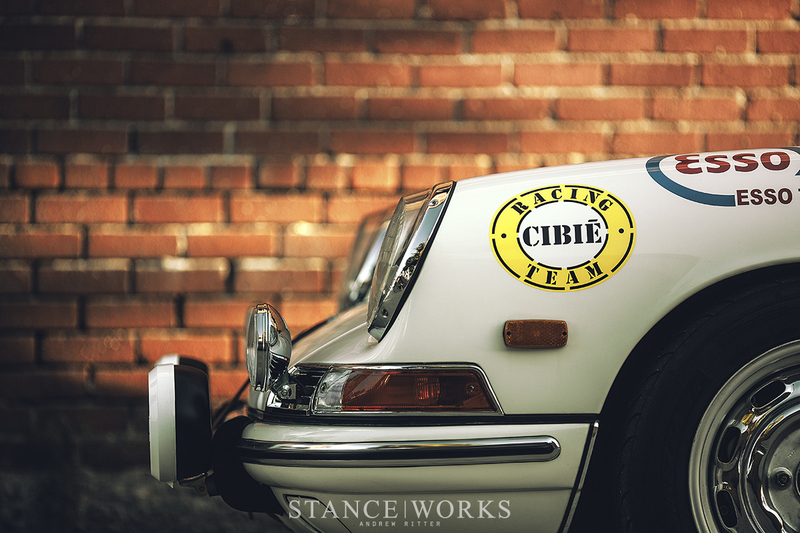 Period correct decals grace each panel and the typography of the numbers play off the simplicity of the narrow racer. It's a look that I love and it's a fitting stage in Mein12's history. We are certain that this car has a long, rich future ahead and we can't wait to see where John takes it next.